Being from Myrtle beach it’s no secret we have a largely tourist driven economy. Between May and August our population baloons! This is awesome for businesses, we have a very large service industry here. Hotels, Restaurants, bars, attractions; they all boom in the summer months. The question here is How do you get your locals in the off-season? This is not just for Myrtle Beach; there are many places that are seasonal, each one is different. But the formula for your social media is the same. Let’s start with those lovely summer months. I cannot stress enough to REMEMBER YOUR LOCALS! Get their feedback on Facebook, tweet to them on Twitter, share their pictures etc. Do ANYTHING possible to make them know you remember them (and want their business). **Now, make no mistake here you MUST reach those on vacation as well. The important thing here is being engaged with all your other local businesses and posting regularly; this means you need someone to respond, ask questions, and to reply to any positive and negative feedback. Be sure it’s relevant content SEE: Content part 1, Content part 2, content part 3. For your off-season your focus should (obviously) be getting your locals to visit you. How you do this will be specific to the type of business you run. What you WILL need is someone who knows how to decipher the world of “targeting” and “promotions” on each social media outlet. We have all heard it before; you need a call to action. It sounds like business 101 here, but most businesses tend to scale down their advertising in the off months. Wise decision considering the profits are less. But as a business DO NOT neglect your social media. Trust me here… you can reach your locals through social media. They are here!!! Content for twitter is an entirely different beast. You are limited on your characters. So unless you are saying something short and sweet you will have a link to your content. If you do this you have to have something catchy to get people to WANT to click. There is a real science to creating a good tweet and getting it to reach a lot of people. blog posts- Take an excerpt from your blog post. Should be small but make people want to read more. Pictures- These do not take up a lot of characters. Think specific! If you are a restaurant, a new menu item. If you are an author, your newest cover. What do you want people to SEE about your company. Shout Outs- Did you just get an awesome review? Did you get a new customer (be sure to check it is ok with them to shout out to them)? Are you attending a party or event? Current Events- Discuss something pertinent in current events. By pertinent I mean relating to your industry. If you are in the cellular industry, comment on the newest phone. If you are in the restaurant industry, comment on new regulations or a new release on your menu (see pictures above). Second Part is to create or use Hash tags. They begin with a “#” sign and relate to your topic. You need to be sure you are using the correct ones. I will dive deeper into the hash tag world in another blog. Third is to tag people. Important thing here is to not go tagging people all wily-nily. Don’t tag people just to tag. Events, people, or places that are relating to your post. I.E. If you are attending a show tag the people who have set it up, or sometimes the show itself will have a twitter handle. Do some research and make sure you are tagging appropriately. Fourth thing to consider is your timing. Think of when you are online regularly. Usually the high times are around 8-9am and 5-6pm. This is not an exact science. Change it up. See what works and when. All of these things will get you re-tweets and followers if done correctly. Have fun! Part one was about your blog. Cliff notes version is make it personal, informative, and have fun! This time I’m talking about your business Facebook page. The trick to Facebook content is making it “shareable”. Now as with your blog this is not one size fits all, it will require work and lots of effort. First place to get content for your Facebook should be obvious… your blog! Take excerpts from your blog and use then on your Facebook. If you use wordpress (if you don’t you should) your blog posts go directly to your Facebook and other social media; all you have to do it set it up once. This is really handy because on wordpress you can schedule your blog posts, so you won’t need to write every day. That is unless you want to… or you are talking about time sensitive material. Your blog is the perfect place to get some of your content because it is already focused to your business or what you do. Your competition. Yes I said it. Your competition! If it doesn’t make sense right away just think long and hard and it will. Your competition is doing what you do… they will be writing pertinent information to your business because they are IN the business! Also… it never hurts to network. See if they want to collaborate on something! Don’t ever shut out the people in your industry that may be competing with you. Now… to clarify do NOT take their stuff and call it your own!! That’s plagiarism, but share it and give credit where credit is due! Also, don’t go overboard sharing their content but find several sources and share sparingly. How does content become sharable? There is no simple answer. But the long and short of it is people have to want to share it. This doesn’t happen overnight. Think of what YOU like to share and start there! But remember your Facebook is the “face” of your business so make it a good one! Don’t be afraid to push some buttons… be controversial… ruffle feathers… make people think… ask questions. Most of all… yep you guessed it… HAVE FUN! We always hear the word “content”. Whether it’s sharable, news worthy, informational… it’s always there! What many businesses struggle with is where to get it! Unfortunately there is no easy, one-size-fits-all, answer. Let’s start with your blog. If you don’t have one you should! There is a plethora of information on blog ideas and most of them can be tailored to each industry. As a rule of thumb I like to keep blog content very personal! Make sure it relates to you and your business. If you have a retail store talk about your new product. If you provide a service talk about why people use your services. If you are a restaurant talk about your new menu items. Most of all though your blog needs to be interesting! Have fun with it! make sure you mix it up between informational pieces and fun pieces. This will create good sharable content for your blog. Also keep in mind that building all this content for your blog will take time and effort. You need to make sure you know your company goals and your blog will help you attain it! But not over night! Keep blogging and your company will gain a following. 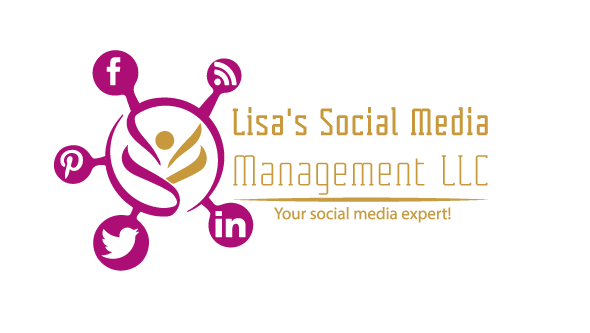 If you need help setting up and maintaining a blog that’s where your social media guru will come in! 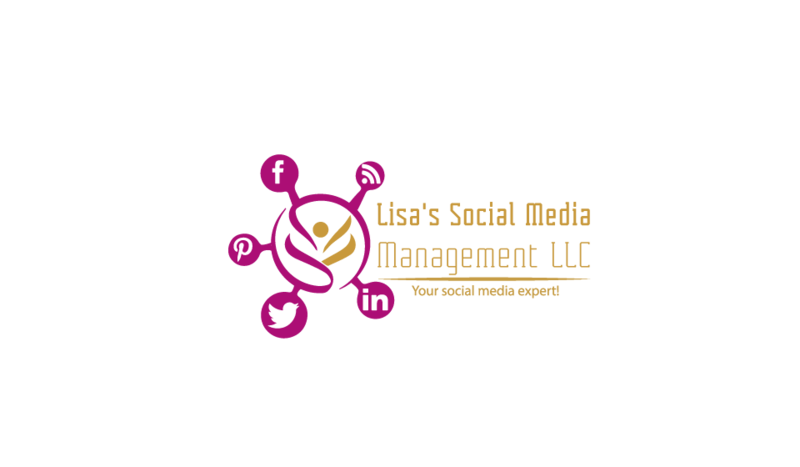 I have ideas for all lines of business and can help you create and share all of your content! Next blog I’ll discuss Facebook, Twitter and Pinterest content! Facebook: Let me just say It’s not as easy as you think. Facebook changes its algorithms regularly. This is why your news feed doesn’t show the most recent posts; it shows the most popular. So you really have to know what you are doing to get your posts noticed on Facebook. Twitter: You can’t just send out whatever and expect results. There really is a science behind it. Tagging the correct twitter handles. Using the right hash tags. It’s all a part of it, and can’t be learned overnight. You have to do research, you have to be able to formulate your tweets properly. Blogging: It’s not as simple as sitting around and writing. You have to make your content interesting. People have to find value in it. Pinterest: It’s not just pretty pictures! These pictures have to link to content that is relevant. Now I’m not saying Social Media Management is rocket science. I’m just saying it’s not as simple as most people think. You have to post regularly, and relevantly. That’s why many businesses outsource their social media to someone like me. I have the knowledge to create relevant content to your specific business. I thought all day about this conversation. I Googled the business, And on the plus side they had a review on Yelp; But they didn’t have anything else. As a business owner ask yourself: how will people find me? Let’s start with the basics or “old school” styles. This includes “word of mouth”, “newspaper”, “yellowpages”, and “radio” (possible more but these are the big guys). These types of advertising are great! Word of mouth may be one of the biggest keys in advertising; but you can’t rely on that alone. Radio is good… but let’s face it… most people hate commercials. Newspaper is fine… but most newspapers are in digital form and not many people buy them regularly. And lastly yellowpages. Well… when is the last time you opened a phone book??!! Need I say more? Time to move into the 21st century. It’s no secret the Internet has changed the advertising industry. If a customer goes to Google your business and all they find is a yelp review are they going to call you? Or are they going to call the one who has a website, a facebook, a twitter? People like to have information, we live in a society where information is king and easily accessible! Ponder on this. Put yourself in the shoes of the customer. Use your advertising budget in the way that makes the most sense. What does Christmas mean to you? For me it’s all about being with my closest friends and family. Remember to be thankful for everything in your life, there is always something to appreciate. Go out and spread some cheer! 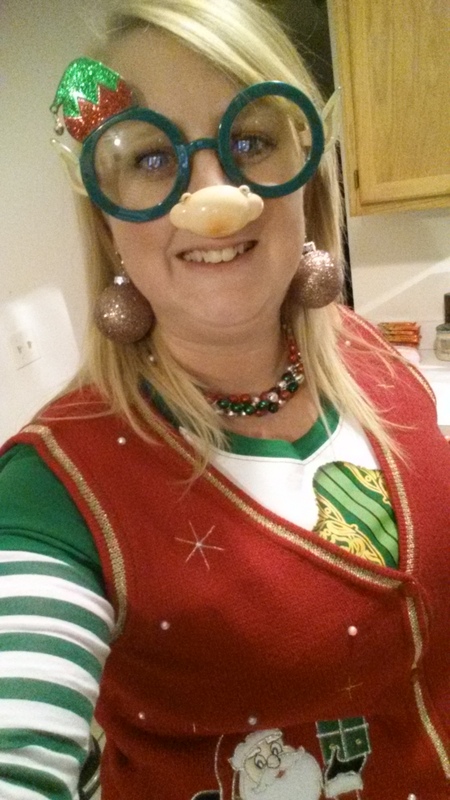 Attend an ugly sweater party! Wish a complete stranger a “merry Christmas”. Smile when the cashier is checking you out! Bake cookies! Do whatever brings you joy and pass it on! Try and give back to your community if you can… donate your time if you have it to spare! Make sure you don’t forget our creatures this time of year too. Go take a dog for a walk or pet a cat at your local shelter. There are so many ways to help your community. Most importantly remember to be kind. Remember what it’s all about! This season doesn’t only speak to one religion it speaks to us all as humans… open your hearts and love one another! Staying ahead of the competition with the use of digital marketing can be a challenge especially for small local businesses. Since local businesses tend to be smaller in size it can be difficult to know where to begin and the value they will obtain from spending the time and effort building a digital presence. However, with the majority of customers are using the web find companies and products, determining the best way to reach these digital customers is very important. The truth is that digital marketing for small local businesses can be very inexpensive (often times free) and can a much higher customer return and retention. With that, here are seven easy tools to leverage when expanding your business to the digital audience and how they can help you as you grow your business. I remember when MySpace was basically it for social media. I remember a time when I actually had to interact with people (du duh duuuhhh) in PERSON! *GASP* I had to use a card catalog in the library. I had to use a phone book! I’ve used a pay phone. How did I survive? I had to wait until I got home to call my friends from school! I actually had to CALL them! I took pictures and had to wind my camera… then wait an hour to have them developed! ! Oh the humanity! No selfies???!!! All joking aside, it’s no secret that social media has changed society… A LOT! Whether it’s better or worse it’s what we have right now. Don’t get me wrong here I love social media! I mean it’s how I make a living! But it is so important today not to loose grasp with reality. It’s not hard to sit behind a computer and loose touch with reality. Go on a date in the park and turn off your phone. Heck go anywhere and do anything and leave it at home or turn it off! Reconnect with an old friend with a phone call instead of a text! Social media has changed the face of society… but don’t loose touch! Twitter. .. tweeter… is this a different language? All of these statements are incorrect! First let me say that pretty much EVERY business can benefit from twitter. We have all heard the term “hashtag”. This is actually the pound or number symbol “#”. On twitter this will become your best friend. Put that symbol in front of a word or phrase and it instantly becomes a searchable term! Boom! There ya go twitter language unlocked! This is why you see things like #politics or #whatwasithinking. Ok not that we know #howtousehashtags let’s move into the other thing you see all the time the “@” symbol. Every person or user has what is called a “handle” or “twitter handle” this is noted with that symbol. For instance mine is @lisafahrenbruck. Why is this important? because this is how you get people to engage. Tag relevant people in your tweets! They get notified and it also shows up on their feed and all of their followers see it! With the use of hashtag and twitter handles every business can engage with their targets! Yes twitter seems like a foreign language. It took me some time to sit down and decipher tweets, and it took me even longer to learn how to COMPOSE them properly! Don’t give up! Remember social media is fun! also… If you don’t have the time or knowledge to devote to it I’m here to help!